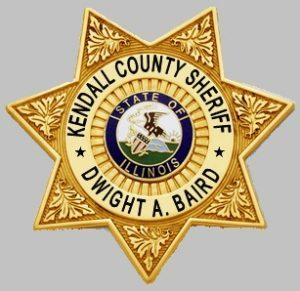 On March 19, the Kendall County Sheriff’s Office organized a multi-jurisdictional arrest warrant sweep throughout Kendall County. Multiple agencies assisted in the warrant sweep including the Plano Police Department, Yorkville Police Department, Oswego Police Department, Montgomery Police Department and the United States Marshals Great Lakes Regional Fugitive Task Force. Kevin Bryant, 40, from the 500 block of West Kendall Drive in Yorkville wanted for unlawful use of credit card. Bryant also fled officers during the warrant service which resulted in an additional charge of obstructing a peace officer. Martin Huerta, 37, from the 400 block of Grapevine Trail in Oswego wanted for failing to appear on a driving while license revoked charge. Manuel Madrid, 23, from the 2300 block of Titus Drive in Yorkville wanted for failing to appear on a domestic battery charge. Adrian Herrera, 23, from the 500 block of South Hugh Street in Plano wanted for failing to appear on a possession of cannabis charge. Alesia Eddleman, 50, from the 1300 block of Marketplace Drive in Yorkville wanted for failing to appear on a driving while license suspended charge. Taylor Snyder, 24, from the 300 block of Mulhern Court in Yorkville wanted for failing to appear on a Driving Under the Influence charge. Jose Palomo, 35, from the 100 block of Dolores Street in Oswego wanted for a violation of a court order. Jeremy Hammond, 39, from the 100 block of Third Avenue in Montgomery wanted for failing to appear on a residential burglary charge. • Joshua Emery, 27, from the 200 block of Calumet Street in Oswego wanted for failing to appear on a driving while license suspended charge. • Derrick Moore, 29, from the 100 block of Saugatuck Road in Montgomery wanted for failing to appear on a battery charge. • Jeremy Bedford, 44, from the 600 block of Keller Street in Plano wanted for failing to appear on a driving while license revoked charge. Sheriff Baird would like to remind the citizens of Kendall County to check out the fugitive of the week posted every Friday on the Kendall County Sheriff’s Office Facebook page. If you have information pertaining to a fugitive’s whereabouts you may remain anonymous by calling the Kendall County Crimestoppers tip line at 630-553-5999.